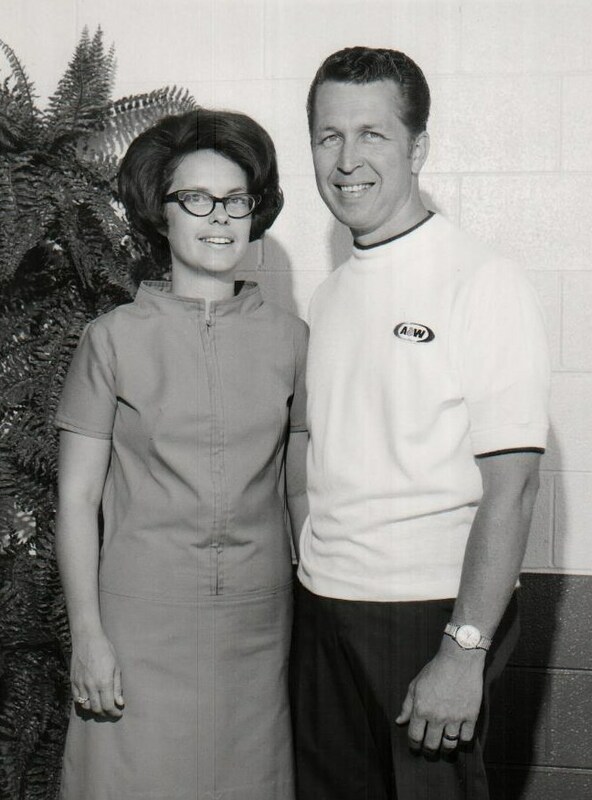 A young Karen and Bob Cary purchased their first A&W franchise on Willis St. in Visalia, in 1967. Photo courtesy of Craig Van Horn. Correction: It has been brought to our attention that Karen Cary had indeed been employed prior to the couple purchasing their first franchise, and the article now reflects that fact. While A&W’s corporate headquarters prepares for its 100th Anniversary in 2019, some locals are celebrating the milestone of owning a franchise for 50 of those years. In 1967, the Carys purchased the Visalia A&W store on Willis St. and began their life’s work with the company. Bob Cary had been working with PG&E, following in his father’s footsteps. But he didn’t want to climb a corporate ladder, he wanted to work for himself, said Karen Cary, Bob’s widow. A friend, who had an A&W franchise at the coast where they were living, suggested the Carys consider owning a restaurant. He had a brother who owned a franchise in Visalia and wanted to sell. Tulare County was familiar to Bob Cary. He had attended COS. Parents of four, the Carys visited the area, looked at the restaurant, and bought it. They moved quickly in early ’67, and while the franchise had been seasonal at the time, like many were in the day, they wanted to open year-round. “We only closed one month that first year to change the kitchen,” Karen Cary said. Cary had worked as a baby-sitter at the age of 12. Her first “real” job was as a soda-jerk, car hop and waitress, she said. She worked in a child-care center after school for two years before going to work for a doctor as his receptionist and office manager. 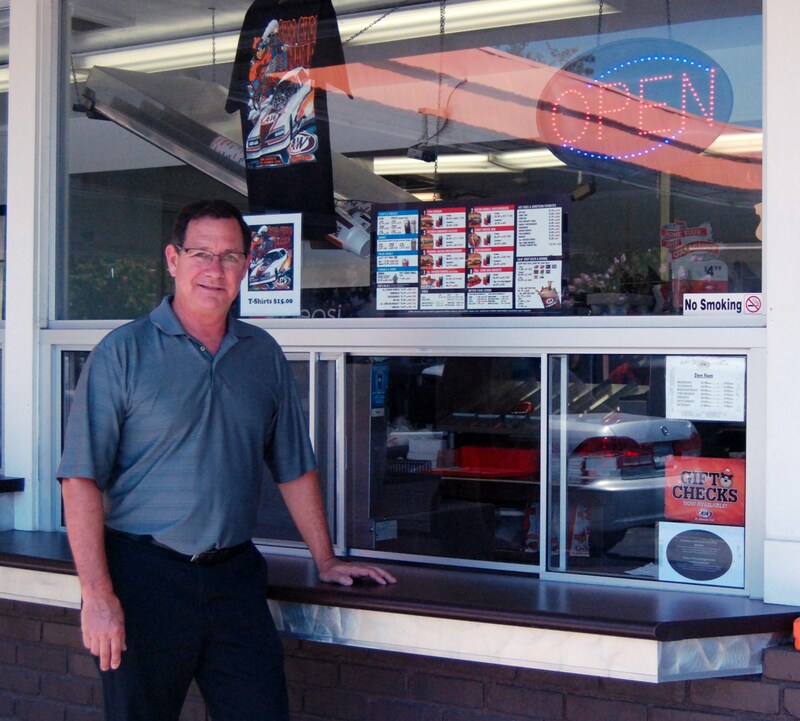 Bob Cary had had no restaurant experience prior to A&W. “I didn’t know Visalia,” she said. “We first rented a model home, while ours was being built. The Willis St. location came about because of its proximity to the railroad, Cary said. Many stores throughout the country were organized that way. But as the city grew, so did the need for a second location. In 1975, the Carys built the store on Mooney Blvd. and opened a second franchise. “That was way out there at the time,” she said. Then, when the Hanford Mall was being built the family added a third restaurant there, followed by the purchase of the Tulare location, which had changed hands a couple of times in those days, and had been left empty for a couple of years. In the early ‘90s, the Exeter franchise was offered for sale, and they bought that, too. “That turned out to be a good move for us,” Cary said. The Cary clan grew up in A&W, each of the kids learning a variety of jobs on Willis Street. Craig and Connie Van Horn’s father was killed in a plane crash while Karen Van Horn was pregnant with Connie. Craig was one-and-a-half years old at that time. About a year following, Karen married Bob Cary, and he was very much Craig and Connie’s father. The couple had two more children, both girls. Craig Van Horn, the only son, is also the only one to have really taken an interest in the management of the family business. When his father passed away seven years ago, the full reins were passed to him. All of their franchises are owned by a corporation, Cary explained. She and her son are major stock holders of that corporation, which is private, not public. “The only time we saw our dad was when we came here,” Van Horn said, of the Willis location. That, actually, turned out to be often, because Van Horn would walk there after school every day. Van Horn started earning a paycheck at the age of 13, which was allowed, he said, because he worked for the family. But, by the time he was through with high school, “I wanted nothing to do with fast food,” he said. He went to work in the automotive parts business. But, within a few years, his father offered him a position he couldn’t refuse. Being a part of the business, Van Horn has followed in his father’s footsteps, being active in the Visalia community. His dad had been involved in the Rotary Club, the Jaycees, Downtown Visalians and took out his trumpet to play at a lot of local functions. But, more than that, it is also getting to know the community, he said. Van Horn has also been active in Downtown Visalians, as well as the Lions Club. 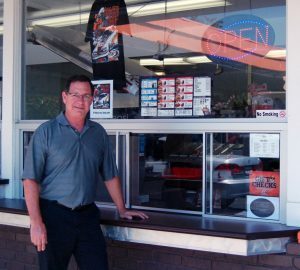 Both Van Horn and his father have been involved in the National A&W Franchise Association, which now owns the company corporate headquarters. “It’s the best it’s ever been,” Van Horn said of the association and management for franchise owners. A few years ago, Van Horn was approached by the owner of a new development being built in the northern portion of Visalia – Shannon Ranch. Did they want to open another restaurant? He and his mother talked about it up until the property owner said he needed an answer. They went for it, and opened a sixth restaurant. Cary and Van Horn like to own the properties their restaurants are located on – they don’t like to rent. They also own their management office in Visalia. The Hanford Mall location is a rental and has worked out fine. The Shannon Ranch location is also a rental and it has, also, worked out well. Van Horn said he could be interested in adding one or two more locations, should the right opportunity arise. One of those would be if another Shannon project were undertaken. Cary now lives in a senior community near the coast. She is still involved in some of the bookwork for the corporation. Her daughter, Jill Cary, helps with bookkeeping and some marketing. But the day-to-day management and decisions have become Van Horn’s. She has no regrets, she said. I have fond memories of my first job, working for Mr. Cary at the Willis A&W in the late ’70s. Congratulations to Craig for carrying on a great family business. I knew Gary Van Horn and Bob Cary. Karen was a classmate in graduating in 1957. You just knew that each of them was destined to succeed at what ever they took on in life. They were/are class acts. Karen has always had a special place in my memories. It was great to be able to read what her life is all about. The Cary’s are a fantastic family.Bob and Karen became my good friends as I called on them for advertising for the Fresno Bee. And through the years Craig has also become a good friend. They have given so much back to the communities that they are in. Congratulations on their anniversery. I got to know the Carys when I married the former Elaine Sturgeon in 1999. We four traveled far and wide including trips to several Four Freshmen conventions. Bob and Elaine arranged for the Freshmen to sing Happy Birthday to me on a jazz cruise in 2003. Bob secretly recorded it and I play it every year. Bob took great delight in giving me A&W coupons that he knew I’d never use. Visalia is well over 100 miles from my house. But he did give me an A&W mug for my home made ice cream sodas. I miss him a ton. Karen and Bob worked hard and also raised a wonderful family. Congratulations on both. I was lucky enough to know both of them when they were just Paso kids.